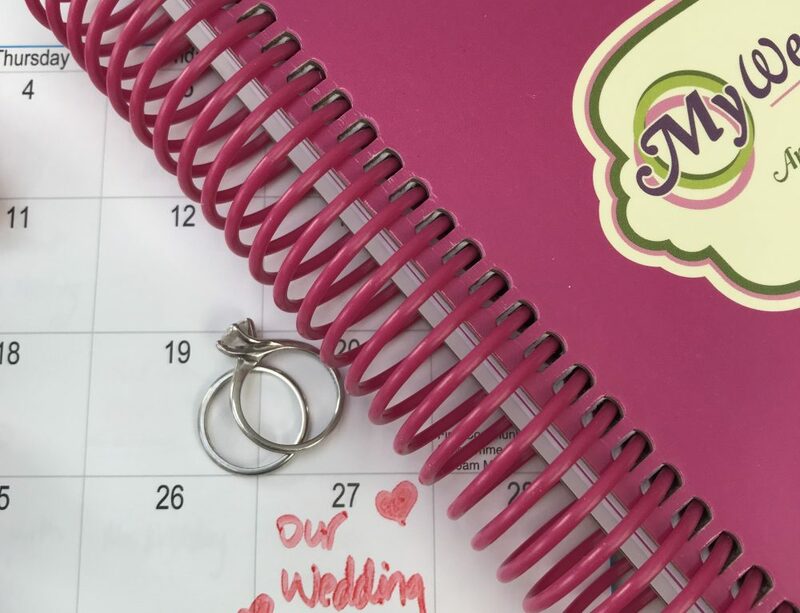 I was originally just going to do one blog on everything to do with wedding ceremonies and it’s legalities but it was getting far too big as there is A LOT to the legalities as we know!! 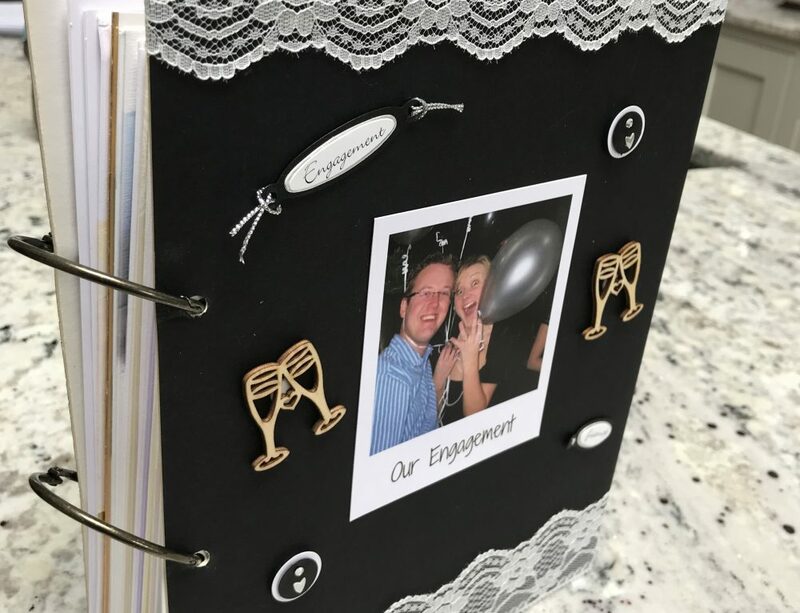 For this blog post I will be looking at the different types of wedding ceremonies you can have as they have changed a lot in recent years which is great as you will definitely find something that suits you both! In covering the different ceremonies I have included some photos of our friends and family weddings so you can see a real ceremony in action! I have to say I loved asking for these photos as each wedding is so different and yet so so so beautiful! What church would you like to get married in? Will you get married in your local church? You will need to contact the sacristan or parish priest to see if your preferred date(s) are available. 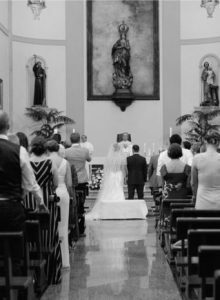 Is your local priest available or will you need to contact another priest if you are getting married outside of your parish? 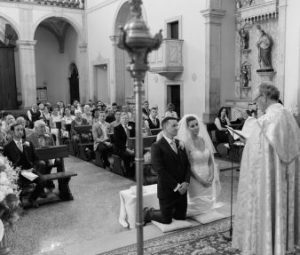 While there is no set fee for getting married in a church, you will still need to ask if there is any requirement within the church you are getting married in or else you can give a donation (this is what we did). 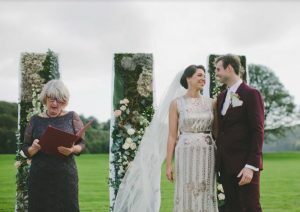 This moment below captures Niall and I saying our vows and I have just made the biggest blunder by saying “I, Niall, take you …” before realising what I had said! 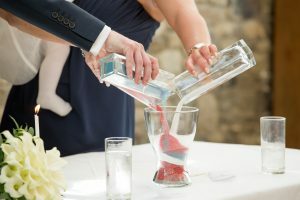 It is one of my favourite wedding photos!!! 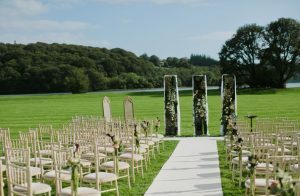 Civil ceremonies usually only take place on a weekday and exclude bank holidays. You can have this ceremony in a Registrar office (you can book this at your appointment of intent to marry) or at an approved venue. If you decided to go with a venue, you will need to ensure it is approved by the Registrar. If it hasn’t already been approved by the Registrar, they will have to inspect the venue which may be a lengthy process, so it is best to prioritise this to do as soon as possible! This is ideal for couples who don’t want a full on religious ceremony. There are no restrictions to the time or day you get married. 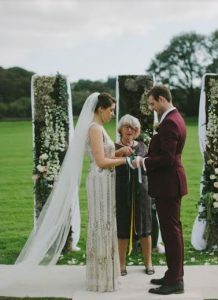 You can book your humanist celebrant through the Humanist Association of Ireland (HAI). 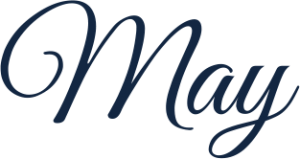 The HAI are currently recommending that you hold off on booking your venue until you have secured a celebrants service to avoid disappointment. 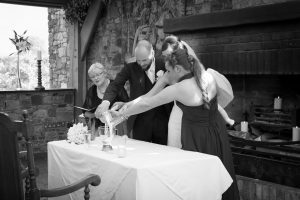 The ceremony can be as personal and as unique as you want it to be. The fee is usually €450-500 and may be more with travel expenses. 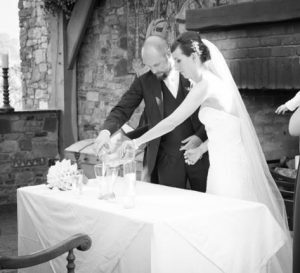 Kelli and Stephen also had a humanist ceremony which took place outside and it was so magical! The photos tell the story. It was so romantic as they chose every reading, piece of music and their vows and also included a Celtic Handfast as part of the ceremony! Eva and Kevin has a religious ceremony in Portugal. The church is just beautiful! Aren’t the black and white photos amazing! Eva pretty much wrote this section so thank you Eva – you are a wealth of knowledge! You will then be legally registered as married in this country but not Ireland. For the religious ceremony you have to get your birth certs, confirmation certs and a priest from your community to vouch that neither of you were previously married etc. fill out a form with the priest, the priest then sends it to a bishop in Ireland who sends to the country you are getting married in. The Irish State will that recognise you as married but the registration of your marriage will be in the country you got married it. The Irish civil registration service does not register it. Therefore, your wedding isn’t registered legally here in Ireland, you are on the marriage register in the country you got married in. Your foreign marriage certificate will usually be accepted for official purposes (e.g. passport application, registering a child’s birth etc) in Ireland where you need to show evidence that you are married. If the certificate is in a foreign language, you must provide an official translation or a translation from a recognised translation agency. 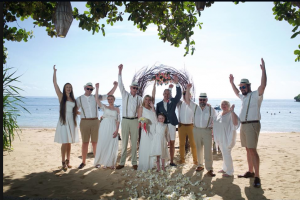 My cousin, Mairead and her husband Steve had a blessing in Bali and the photos are just incredible! Imagine having a celebration of marriage on a beach! Stunning! 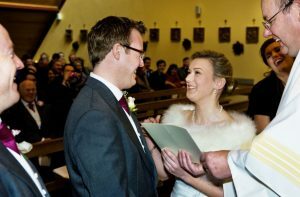 Mairead’s top tip, that it turned out to be super important to them, is to give a few weeks between the civil Irish ceremony and jetting off…because due to very severe snow their own original civil ceremony date was cancelled and they ended up doing it ten days later!! I’d imagine some people would want to get the civil service done and jet off immediately. But she DOESN’T recommend that!!!!! 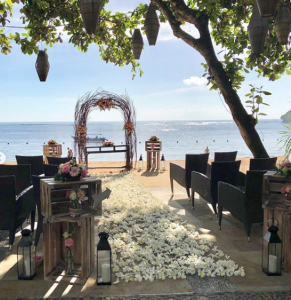 For some people it is important to them to get married on the day of our their ceremony regardless of what country they are in and for other maybe not so much, especially if they don’t want a religious ceremony or want to avoid the paperwork. You cannot have a civil ceremony in another country if you don’t reside there but you can have a blessing instead. 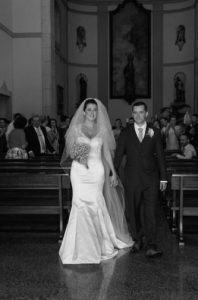 If you wish to only have blessing abroad you will need to do all legal paperwork in Ireland here, then have your civil ceremony in the Registrar and then you will then be legally married under Irish law. And then you have your blessing in the country of your marriage celebration, that has no legal bearing. 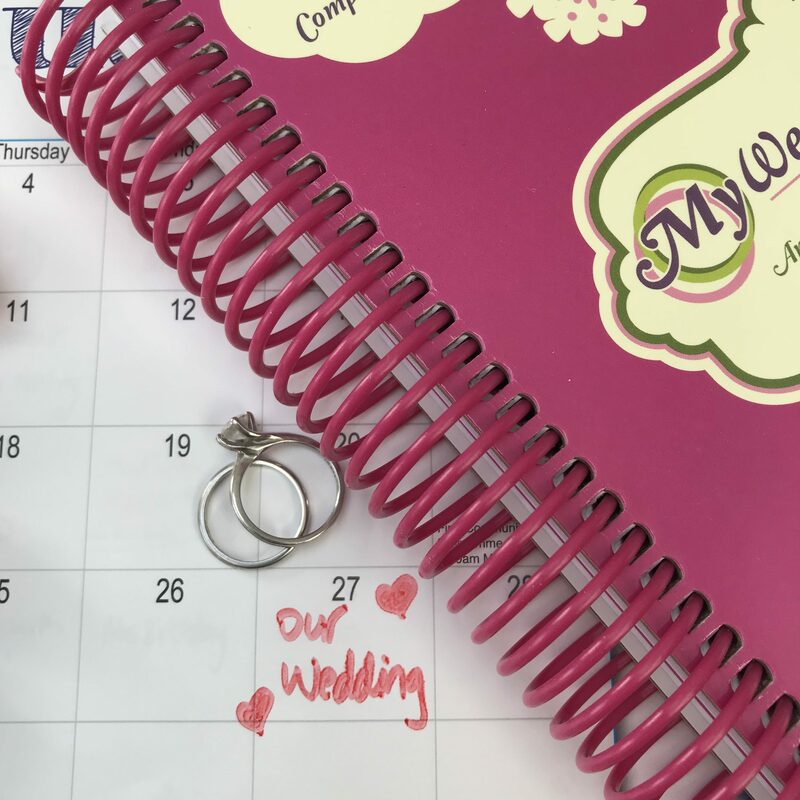 I would highly recommend using a wedding planner if you are legally getting married in a foreign country as it can be very confusing especially if there is a language barrier. The wedding planner can co-ordinate all this for you e.g. liaising with the church, registering our intend to marry etc. 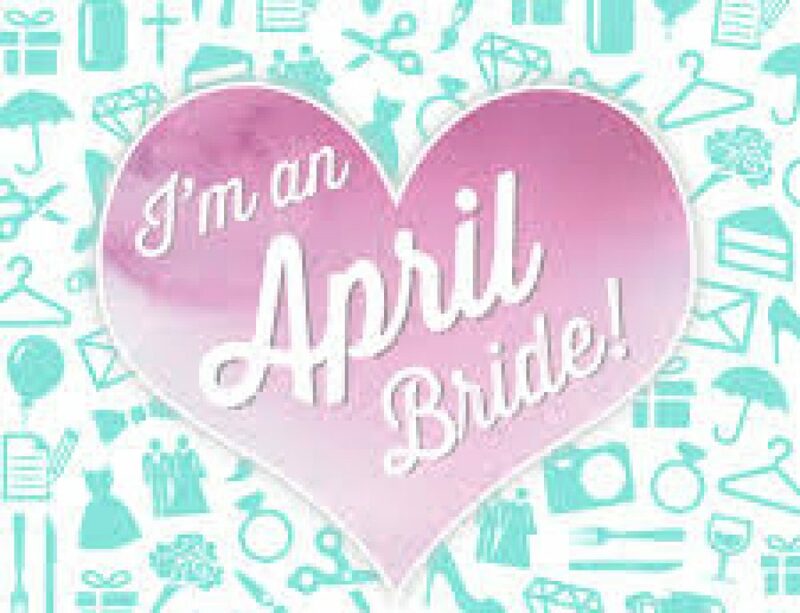 April Bride, Planning an April Wedding? 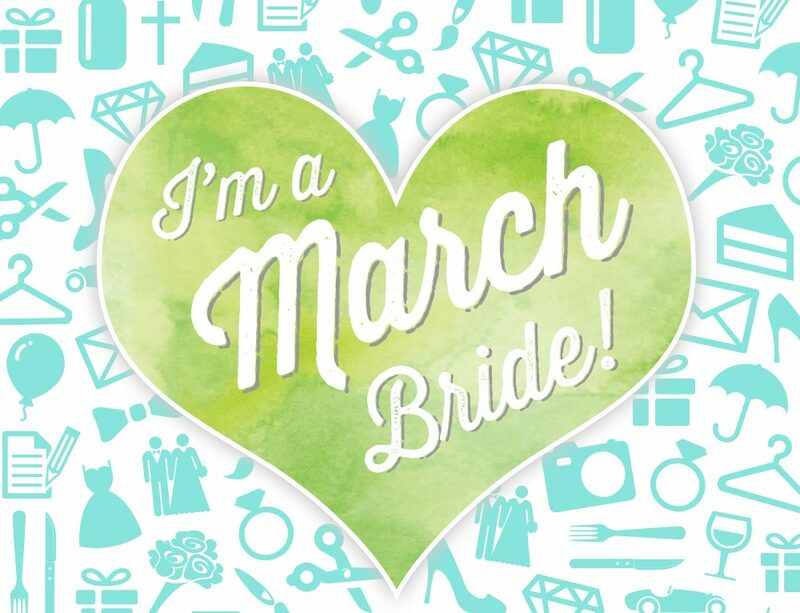 March Bride, Planning a March Wedding? 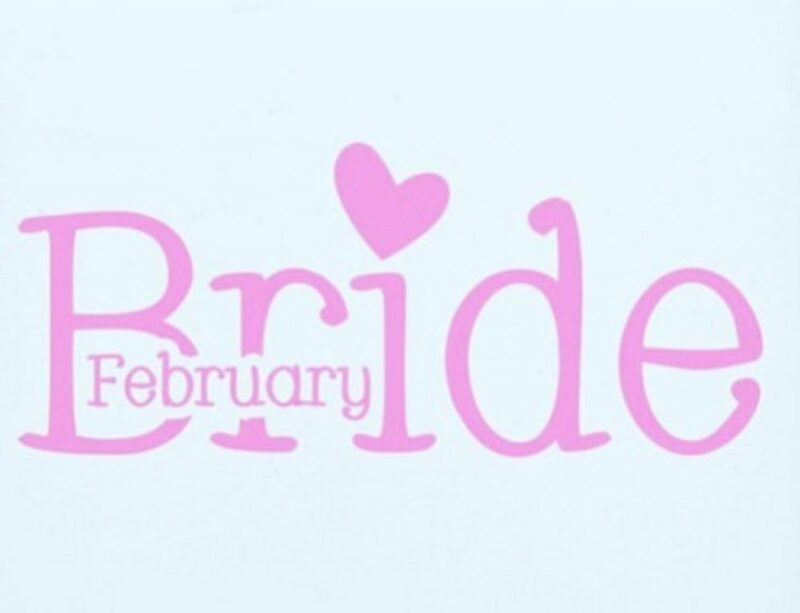 February Bride, Planning a February Wedding? Great post May! You’ve covered so much. 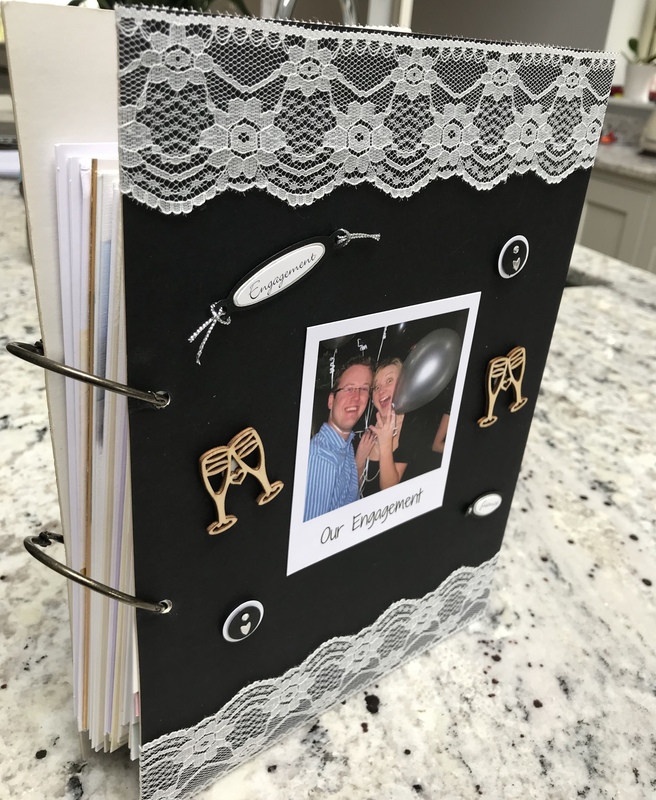 Love the photo from your wedding- all look so happy!! Thanks so much Caitríona! I’ll never forget saying “I, Niall” at our ceremony and I love this photo with us all laughing our heads off!!! Love love love how you’ve broken everything down and kept it succinct and to the point.